Largest Authorised BMW Dealership Group to support leading forum on social transformation with 50 BMW vehicles for the use of Government Leaders and Dignitaries specialising in the field of Social, Human Science and Civil Societies. KUALA LUMPUR, 7 February 2017 – Auto Bavaria, the largest authorised BMW dealership group in the country are pleased to announce its sponsorship of the first Management of Social Transformations (MOST) Forum for the Asia-Pacific region in 2017. The event will take place from March 14th to March 23rd at the Sunway Putra Hotel, Kuala Lumpur. The event is hosted by the Government of Malaysia through the Ministry of Women, Family and Community Development and co-organised with the United Nations Educational, Scientific and Cultural Organisation (UNESCO) under its Management of Social Transformations (MOST) programme. MOST is UNESCO’s inter-governmental science programme on social transformation which was created with a view to strengthen the dissemination of knowledge to member countries by encouraging evidence-informed approaches through sustained dialogue between researchers and policymakers. The program works with governments, social and human science communities and civil societies to improve connections between knowledge and action which is key to positive social change. The Forum in Malaysia is poised to be the ultimate meeting place for over 150 participants from 73 countries including Government Leaders, Social and Human Science Communities and Civil Societies. Themed “Building Inclusive Societies in Asia-Pacific”, the Forum will focus on topics ranging from ageing, women, and social innovation, among others. Auto Bavaria will be supporting the event with 50 BMW vehicles which will be utilised by overseas dignitaries and is the Official Vehicle Partner for the forum. The handing over ceremony was held today at the Auto Bavaria showroom at Jalan Tun Razak which was attended by the Deputer Minister of Women, Family and Community Development, YB Senator Datin Paduka Chew Mei Fun, Sime Darby Motors Malaysia Managing Director Dennis Ho, Sime Darby Motors Director of Corporate Affairs Datuk Aishah Ahmad and Managing Director of Auto Bavaria, Jeffrey Gan were also present at the event. 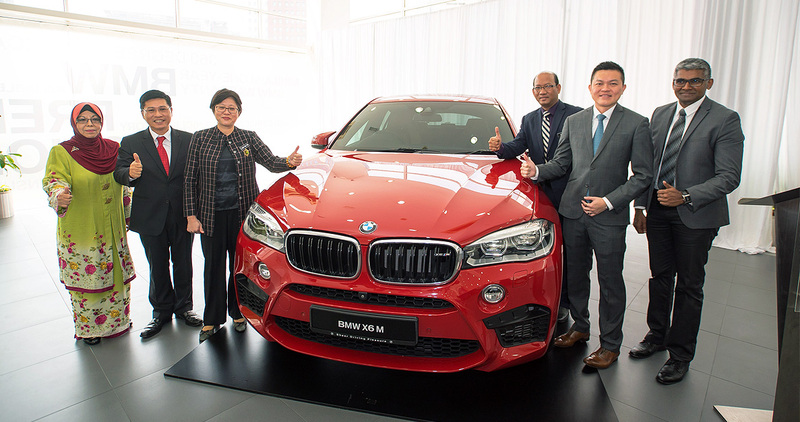 Established in 1988, Auto Bavaria, a division of Sime Darby Auto Bavaria Sdn Bhd, is the largest retail and service organisation for BMW and Motorrad in Malaysia. Auto Bavaria's nationwide network comprises of five branches, namely Glenmarie, Sungai Besi, Kuala Lumpur, Penang and Johor Bahru.